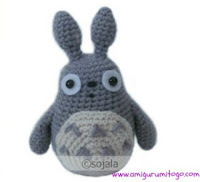 Welcome to the list of Totoro Patterns! Some of these do have video tutorials to go along with them. Click on a picture to get to that particular pattern. Happy Crocheting!! Hello Sharon. I just wanted to say thank you so much for these patterns & all your hard work! You are amazing! 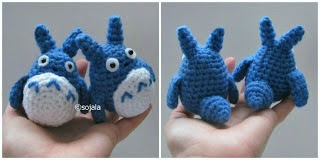 I've made the small blue Totoro, but I cannot figure how to show a picture. 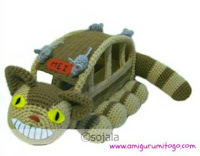 I will also attempt make the cat bus as a gift for a friend. Hopefully by the end of that I will have a picture to show. Again, thank you so much for being willing to share these for free! They allow those of us without much extra money to make crafts that help to make others happy :-) Thank you for your generosity! If you are on facebook you can share pictures on Amigurumi Freely or look for me personally, Sharon Ojala and my profile pic is a crocheted elf doll standing beside spools of thread. Oh my goodness... 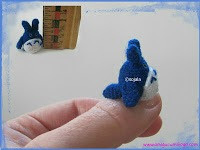 I MUST make some of these!!! 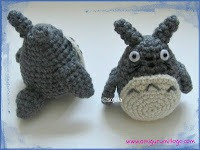 I love My Neighbor Totoro, as do my little siblings.